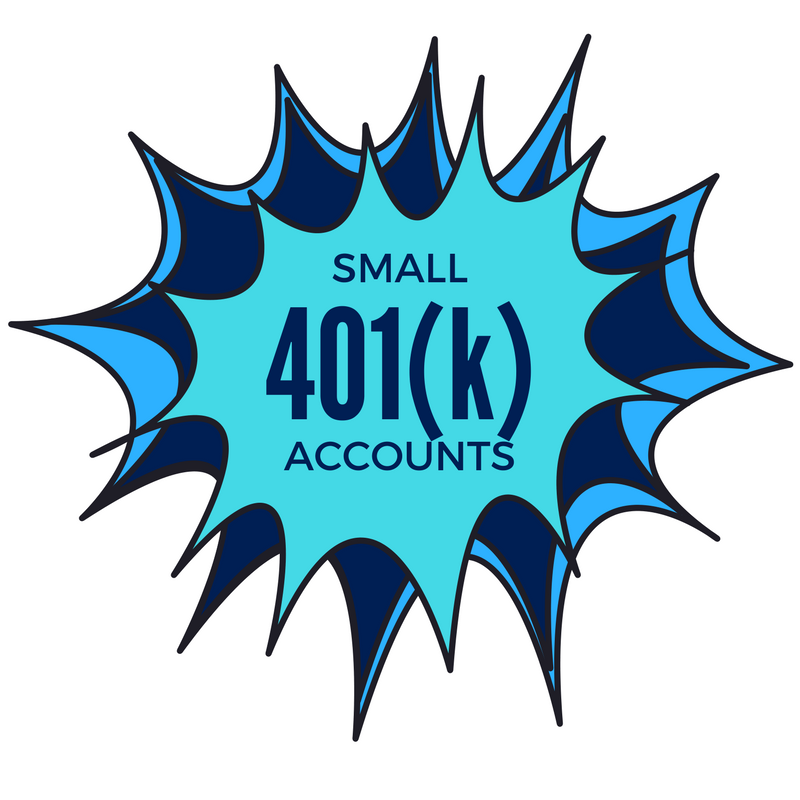 It’s generally accepted that the small-balance accounts of terminated 401(k) plan participants have been a problem for plan sponsors, resulting in increased plan costs, fiduciary risk and other ancillary problems, such as missing participants and uncashed distribution checks. Now, based on new information from EBRI and other sources, we’re learning that small accounts are a large and growing problem for active participants as well. If no action is taken to make retirement savings more portable, an increasingly mobile workforce will ensure that this collective “explosion” in small accounts will exacerbate headaches for plan sponsors. For participants with small accounts, research indicates that bad outcomes will only worsen as they leave savings behind or cash out entirely. 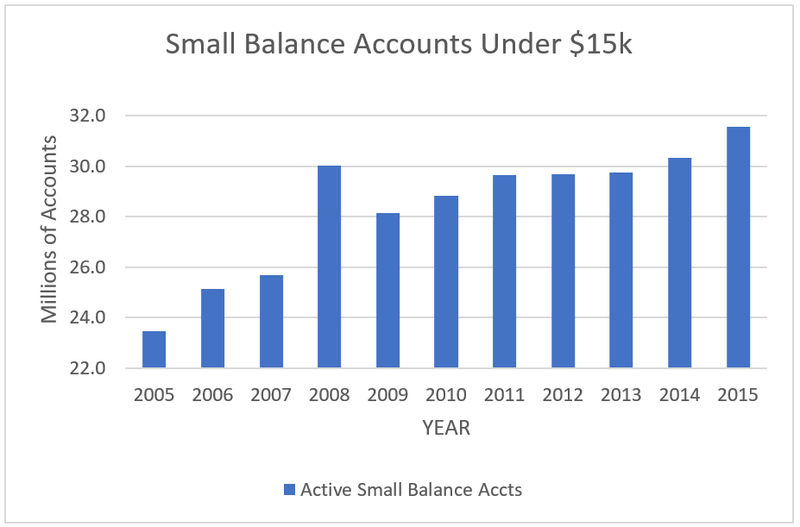 The problem of small accounts -- for both terminated and active participants – didn’t happen overnight, and has been influenced over many years by public policy, resulting in a decidedly mixed bag of outcomes. The automatic rollover, enacted by Congress in 2001 (EGTRRA) and clarified by the Department of Labor in 2004, provided relief for sponsors wanting to cleanse their plans of terminated participants with less than $5,000. According to the PSCA’s 59th Annual Survey, automatic rollover provisions have now been embraced by 59.2% of plan sponsors. In 2006, the Pension Protection Act (PPA) resulted in the expansion of the automatic enrollment. Adoption of auto enrollment, in turn, drove higher participation levels, but often resulted in lower average deferral rates. Interestingly, these two pieces of legislation worked together to sustain a dysfunctional “revolving door” of sorts. While automatic rollovers swept the smallest accounts out of the 401(k) system, the PPA built their numbers. Combined with high rates of employee turnover, the conditions necessary for an ongoing tidal wave of small account cashout leakage were created. Participants with balances between $5,000 and $15,000 have hardly fared better. While not facing mandatory distributions, they’ve had no answer to the systemic “friction” that they face at job change, defaulting to the easiest choices available: stranding their small accounts in their former employers’ plans or cashing them out entirely. Whether by cashing out or by stranding their prior balances, an overwhelming number of job-changing plan participants fail to move their retirement savings forward to their new plan. Time and again, they find themselves at the mercy of the small account food chain, failing to build up their active small accounts to critical mass before moving on to their next gig. New information confirms that the small account problem for active participants is getting worse. Applying a times-series of percentages from EBRI’s 401(k) database against active participant populations from the DOL’s Private Pension database reveals a steep increase in the number of small balance, active accounts. Grew from 23.5 million in 2005 to 31.6 million in 2015, an increase of 8.1 million, or 34.5%. That's an average annual increase of 735,841 small accounts per year! Outpaced the expansion of access to defined contribution plans, which grew by 25.5% over the same period. Now represent 48.1% of all active accounts. The small account problem is closely tied to the lack of portability in our defined contribution system. Auto portability is the only public policy initiative that directly addresses the small account problem at its source, automatically moving small account balances forward when participants change jobs. Not only will terminated participants not cash out or strand their retirement savings, as active participants they will more readily break the $15,000 small account “barrier” – where they become much more likely to preserve their savings for retirement. Auto portability also has the added virtue of making other retirement savings public policy initiatives better. Research shows that any initiative that radically expands access to 401(k) plans (ex. – universal MEPs) unintentionally results in dramatic increases in small accounts and cashout leakage. With auto portability, participant outcomes for these initiatives improve dramatically, particularly for minorities, women and younger workers. Initiatives to increase the threshold for automatic rollovers to $10,000 or higher, along with unspecified increases to automatic cashout levels could reduce small accounts, but drive large increases in cashout leakage. With auto portability, the bulk of that cashout leakage could be avoided. By moving forward now with auto portability, we can properly align public policy, strengthen our 401(k) system and ensure that the “revolving door” of small accounts is finally closed.